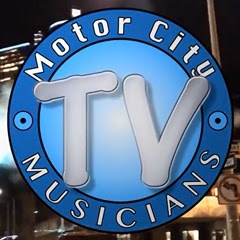 MotorCityMusicians.Com has officially launched and production is under way. The MCM-TV feature video opener is complete, at least in its first iteration. We will be contacting those artists, bands, club owners, and studios that we would like to feature here on our site over the next few weeks to see if there is interest in being featured. Not all artist like the exposure, after all. If you feel that you or someone that you know should be featured, please nominate them by posting in the "Feature Recommendation" section of the "Members Only" category of our forum. Alternately, you can post a comment below. We are looking forward to bringing greater awareness to the talent that resides here in South East Michigan and we hope that you decide to become a part of the movement!